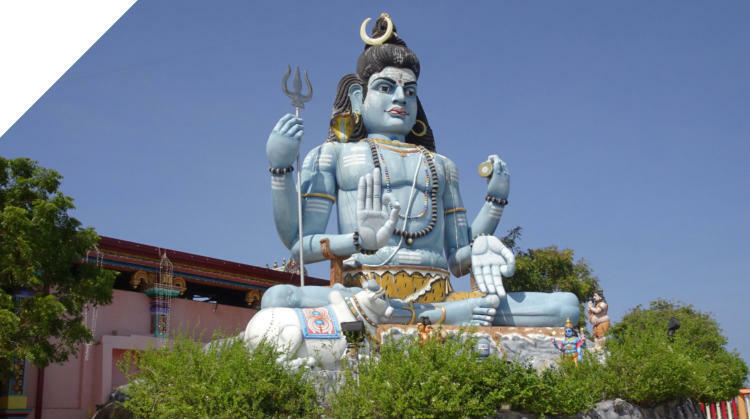 Trincomalee, in the north east, is considered to be one of the finest deep water harbours of the world. 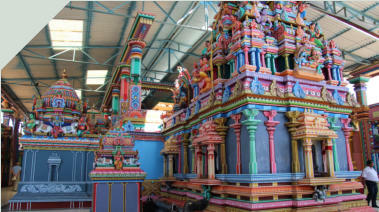 It has the largest Dutch fortress and oldest Hindu temple in Sri Lanka. Fort Frederick was built in 1676 by the Dutch. Within the fort we walked to Swami Rock to see Koneswarum Temple. 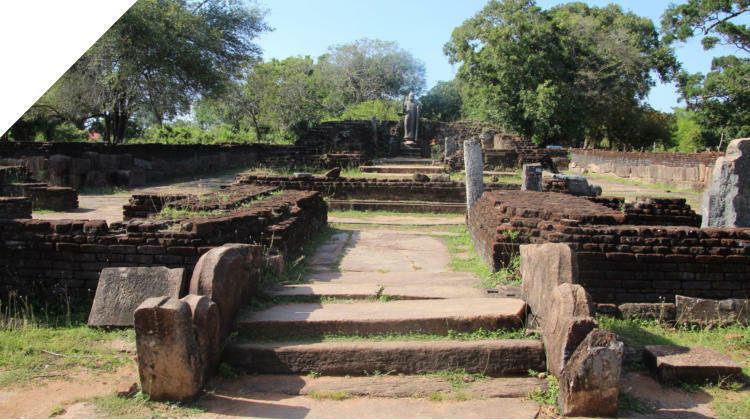 This Buddhist temple dating from the 2nd BC is said to be the only temple in Sri Lanka with rock inscriptions written in ancient Tamil. The people were peaceful farmers, cultivating rice with the help of many large tanks. They were economically successful but had no answer to the more powerful Chola and Pandiyan invaders from southern India. When they moved to safer ground further inland, the temple was left in the care of Tamil Buddhists but by the 12th century they were forced to flee and the jungle claimed the temple. It was discovered, by chance, in 1949 and restored to its present state in the 1950’s. Koneswarum Temple, one of the five most holy Shaivate temples in the country, is situated on the top of Swami Rock overlooking the sea on one side and the harbour on the other. 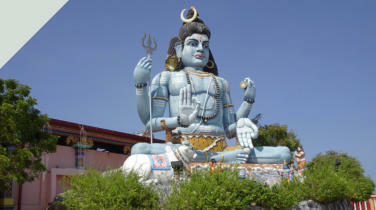 Its primary diety is the Hindu god, Lord Shiva, in the form of Konesar. The Konesvaram shrine originated in 1589BC and was demolished in 1622 by the Portugese (who called it the Temple of a Thousand Columns), and who used the materials derived from its destruction to build the ramparts of Fort Frederick. 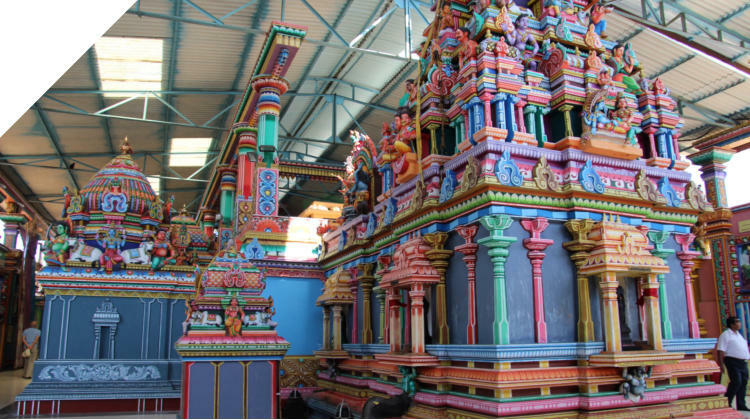 So, now, the rebuilt temple sits inside a Sri Lankan Army compound. Some of the artifacts from the demolished temple were kept in the Lisbon Museum. Some of the Devotees managed to bury some of the gold and copper statues and these were unearthed in the 1940’s and are now back in their rightful place.